Accidents, or just simple wear and tear, can stain, crack or chip even sturdy slate flooring. 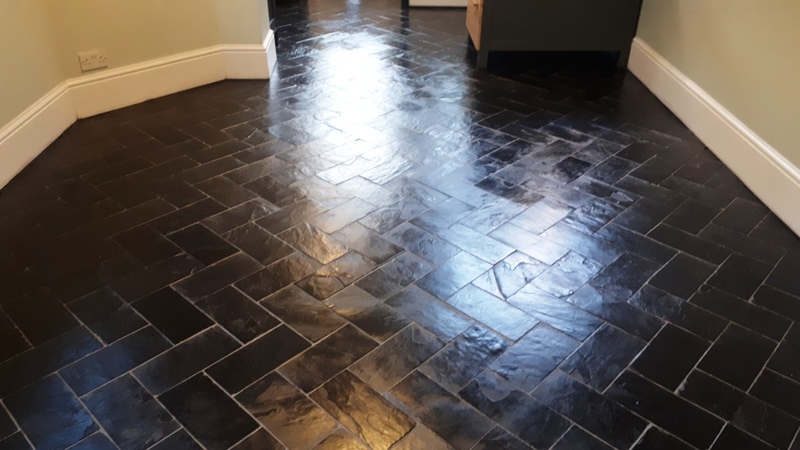 What is great with slate flooring, however, is that you can repair such damage with the help of tools and materials that can be bought easily at a hardware or home improvement store. When embarking in a repair project, consider these repair tips. 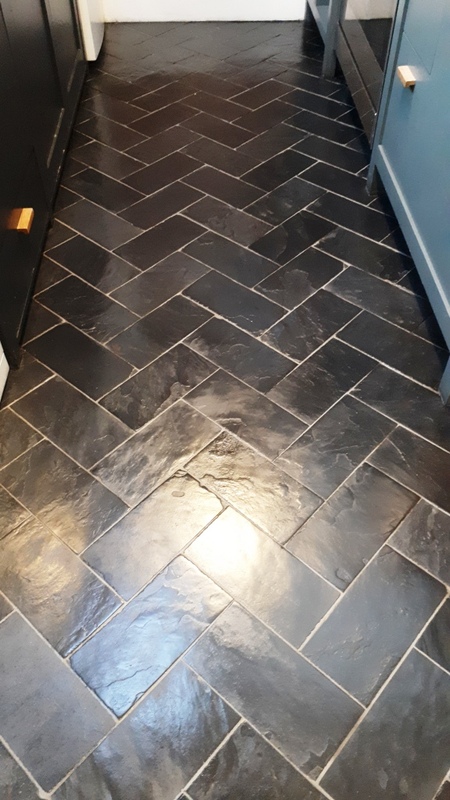 Small cracks on slate flooring tile should be filled in immediately, to prevent further damage to the tile. This repair tip, however, is not a guarantee that the tile has been put back to its damage-free state; this is just a temporary solution. Epoxy glue comes in clear or opaque color. Color can be added to match the surface of the cracked slate tile. Grout protects the tiles from chipping around the edges. Sand the jagged edge of the chipped tile. 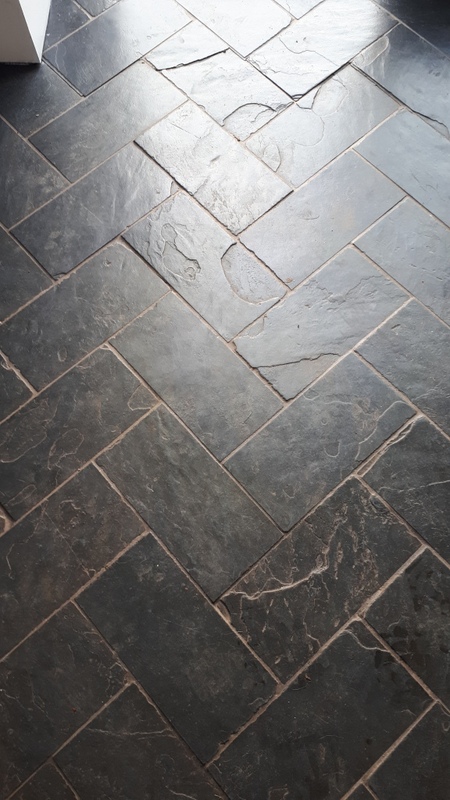 This is to create the illusion that the slate tile is naturally shaped as such, and the irregularity of its shape is just part of the stone’s unevenness in shape and texture. Buy a grout mix that matches the color of the old grout. Remove the old grout around the chipped slate (all four sides). Apply the mixed grout. The grout will fill-in the chip on the slate tile. With this procedure, you will not only repair the chip on the tile, you will also restore the grout to its pristine condition. If you were unsatisfied with the color of the grout or epoxy glue, or that color did not blend well with the stone, you can use a nail polish to color the area. Nail polish works like a tinted varnish. It can give a glossy look, as though sealer has been applied the stone. Select a color in tone and hue that is nearest to the stone’s natural color. Work on a small area to test if the color blends well with the slate’s color. If not, remove the nail polish with acetone. Remember to apply thin coats of nail polish to achieve good color consistency. 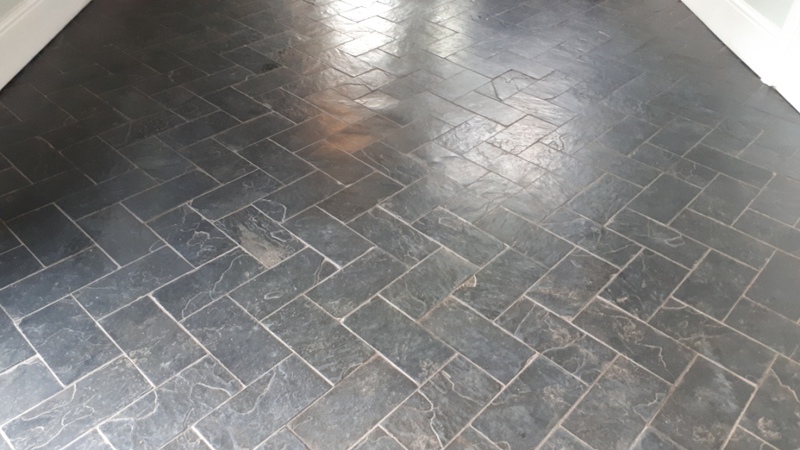 There are times when the damage in the slate tile cannot be repaired by a simple epoxy glue or grout. When such is the case, you have to remove the damaged slab and replace it with a new one. This type of repair can also be done without the help of a professional. 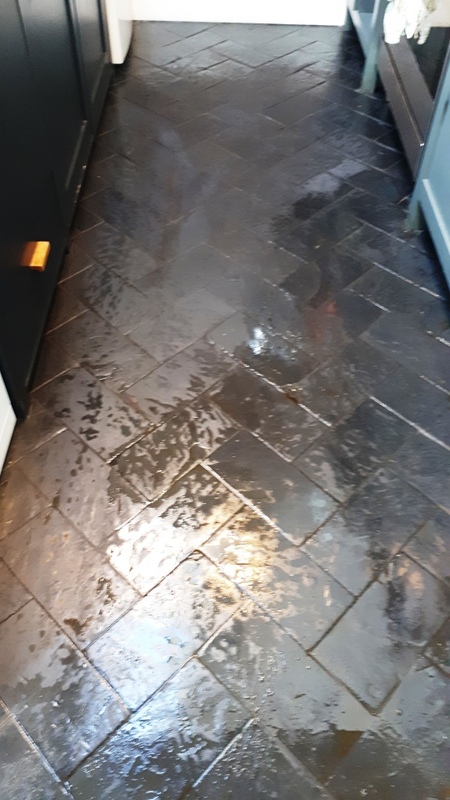 Careful attention, however, must be placed on the removal part: the damaged slab should not be forced off the floor, so as not to damage nearby tiles. Tip: chip the damaged tile on its center using a chisel and a hammer, to break away the slate tile into pieces. 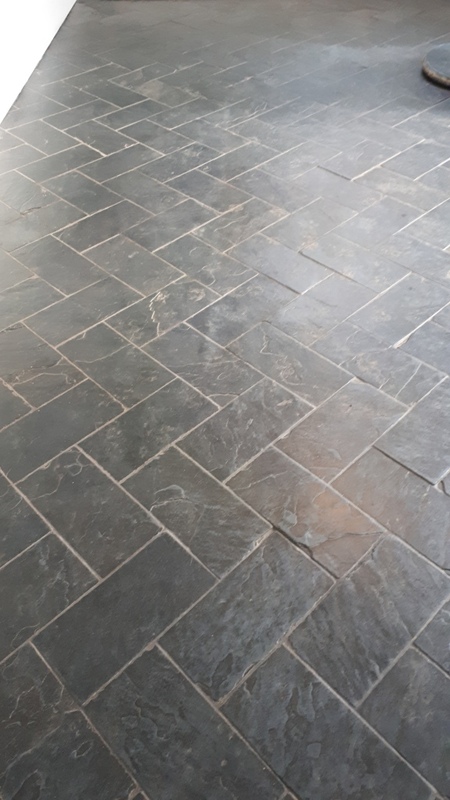 Whether you plan to repair damage in your slate flooring with epoxy, grout or replace the damaged slab altogether, you have to prepare the surface for such repair activities. First, clean the area, specifically the damaged area with soap and water and allow it to dry completely. Second, strip it of sealer, paint and grease with acetone stripper. Lastly, sand the surface to ensure adhesion of epoxy, grout or mortar.